From the Best of Facebook album. 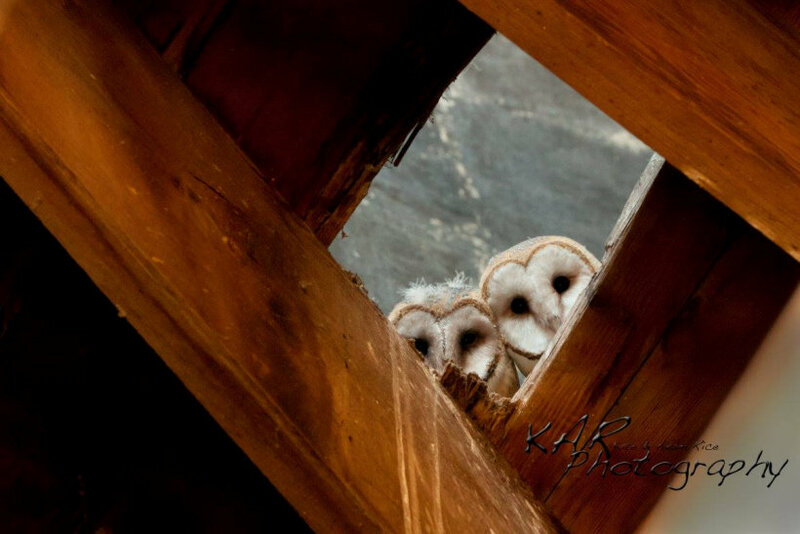 Two Barn Owls (Tyto alba) peer down from a barn attic in Utah, USA. Photo by KAR Photography.